This article is part of Steampunk Hands Around the World international event, running between Feb 2nd and Feb 28th. 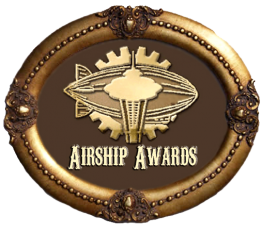 For a full listing of events, check out the Airship Ambassador blog. Over the years in the steampunk community, I’ve seen its potential to work together for more than shared fandom reasons to impact the larger world around us. The community’s Maker influence could be a cause why: if people like to fiddle around with machines out of junk, their tinkering becomes a physical demonstration of how people can re-think an object to make it work better, breathe new mechanical life into it, as well as making it aesthetically pleasing in its functionality. I’ve seen that attitude transfer to other works that steampunks have done. On top of that, the types of people who are involved in the community — tinkerers, artists, educators of all stripes — create a space where ideas bounce off of one another, and perhaps, that creativity which stirs up a person’s inner initiative to try and change a bit of their own lives then spreads into other aspects of life too. It’s not surprising then, that several initiatives have started up in the community with the aim of social and public betterment. I won’t deny that I have a certain perspective about this, given the people that I associate with tend to value ways that explore social causes, whether it be through increased artistic literacy, media critique and representation, environmental or political causes, or education. Many of these people are friends of the blog and you can check out their work here. Various steampunk conventions also have had a charity fundraiser at their event, as what usually happens at events such as TeslaCon, Dragon*Con’s Alternate History Track, and Steampunk World’s Fair. For Steampunk Hands Around the World this month, I wanted to highlight some various ways that the steampunk community is giving back, to show that we’re more than a group with a retrofuturistic side hobby. Bruce and Melanie Rosenbaum of ModVic has been involved in several projects to help people with different abilities. Last year, they worked with UMass Lowell psychology professor to create a class called “Steampunkinetics”, a course designed for students from across the autism spectrum to learn how to build steampunk projects in ways that worked with their particular cognitive strengths and weaknesses. ModVic’s newest project has been a further investment into working with people who use living assistant devices on a daily basis. SteamABLE wheelchair design by Greg Hurley. 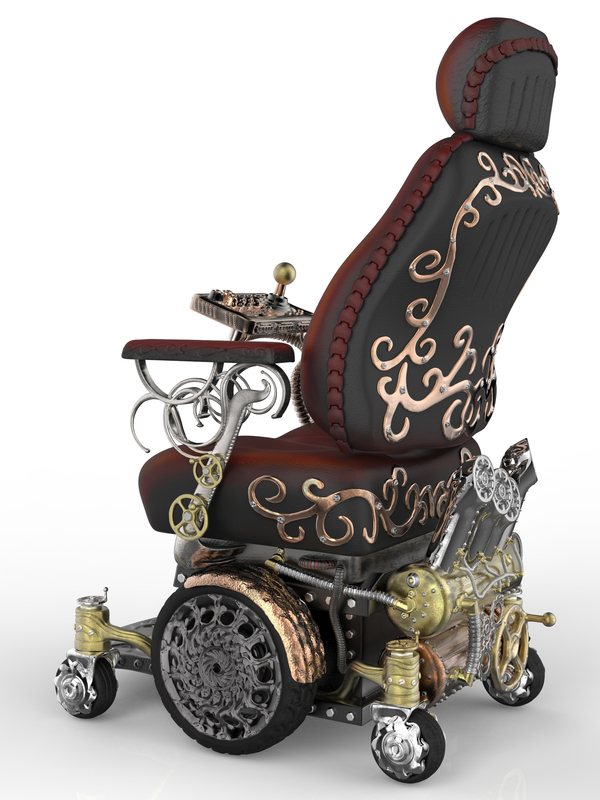 The Boston-area-based design company held a contest, in which they asked designers to contribute their ideas envisioning a steampunk wheelchair. Our of 18 possible designs, they finally selected Greg Hurley, a designer from Michigan, as the winner. Now, ModVic is trying to raise $30,000 to help get Kyron’s wheelchair built and any support would be appreciated. After the success of SteamABLE, he is continuing his design-work on a “secret” project. “I’ve learned tons in many areas just by taking on this design challenge and getting to work with Bruce has been great experience as well, he’s a visionary,” Hurley added. Jail & Bail servixe used to raise money for charities, managed by Airship Lexington’s Sky Marshals. 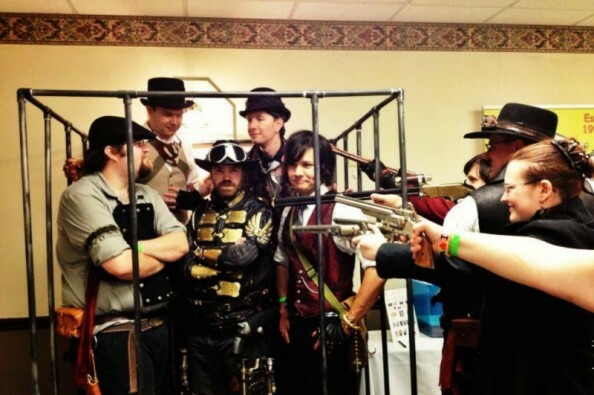 I had first encountered Airship Lexington at OctopodiCon 2012, where they were running a unique interactive event: attendees can hire the Sky Marshals to round-up a requested “felon” and hold them in their lobby jail cell for a dollar per minute of jail-time. All funds raised were them donated to a designated charity. The Sky Marshals have hosted their “Jail & Bail” service for the past couple of years now, as well as serving as convention security and staff. The Sky Marshals have raised money for several causes, including the Wichita Children’s Home, the Red Cross Disaster Relief Fund, the Tesla Museum, and Octopodicon’s children educational program the Junior Sprockets. As these stories, along with others in the community show the “punk” in steampunk doesn’t necessary imply that subversion equals destruction, or that the break-down is the only proper form of rebellion. When you look at the world as a system already broken, the most productive way to fight that system is to look for ways of fixing it. 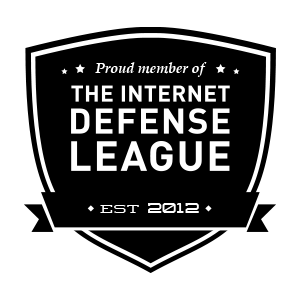 For more information about the projects mentioned above, please see these links. All of them would appreciate your support to continue their work. Interested in sharing your idea, project, organization, airship, etc that works toward social causes? Comment below and share the wealth! Correction: (2/4/2014) In the initial publication of the article, it was mentioned inaccurately that the Make-A-Wish foundation asked ModVic to design the wheelchair. They had first approached ModVic to design Kyron’s bedroom, and afterward ModVic wished to pursue the wheelchair project independently. Thanks for the heads-up, Professor! Pingback: Steampunk Hands Around the World – Official Link List: UPDATED! Great blog: Beyond Victoriana. I love Steampunk especially with diverse characters.